By the end of grade school, I knew, or sensed, that vast forces – parents, teachers, and church – were arrayed against me in a vast conspiracy to civilize me. My relationship with them had become one of wariness and secrets. I had friends of course, but after changing schools fairly often, I regarded friendship as a tenuous thing, subject to disruption at any time. I tended not to get too close to anyone. My one constant companion was Ranger, the German Shepherd I had grown up with since the age of six. Once, alone in the woods in my coonskin hat, something exploded out of the brush at my back – a buck, with Ranger at his heels. The twentieth century vanished. We were back in the era when Daniel Boone would pack up and move when things got so crowded he could see the smoke of a neighbor’s chimney. By the sixth grade, there weren’t any woods. We had moved from rural New York to the San Jose suburbs, where you had to look hard to find a decent tree to climb. Ranger hadn’t fared well either – he grew listless in our little fenced in yard, and within a year, developed a tumor. We put him down when he was six. I was on my own and largely clueless. And then, something wonderful happened. They used to bring carts of inexpensive books into the sixth grade class, and one day I spent my lunch money on a paperback because the dog on the cover looked like Ranger. 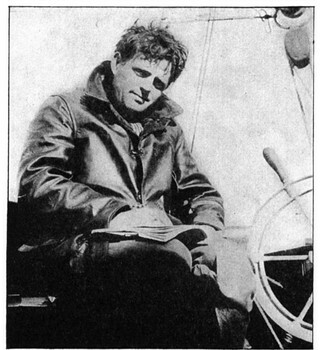 I hadn’t heard of Jack London or Call of the Wild, and though I loved to read, I didn’t yet know how deeply an author could speak to your soul. London tried to live out the dream of sailing to tropical islands. He built a ship, the “Snark,” to carry him and his second wife, Charmian, on a seven year, round the world voyage. Instead, plagued by mechanical problems with the ship, and health problems of his own, London sold the “Snark” after 27 months. That was one of his heartbreaks. http://www.parks.sonoma.net/JLStory.html Another was the miscarriages that prevented him and Charmian from having children. 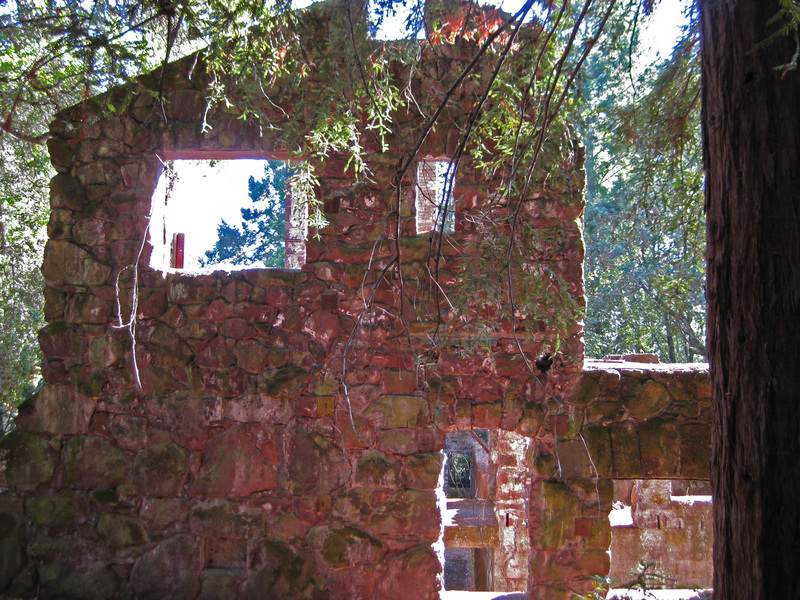 A third was the fire that destroyed “Wolf House,” the 27 room, rustic mansion he and Charmain were building, at a cost of $80,000 pre-WWI dollars. The house was nearly complete, and London remained severely depressed after its destruction. In addition to these travels, London was constantly on the go. He’d been a war correspondent twice, had an active social life, tried unsuccessfully to make his ranch profitable, and wrote more than 50 books. For long stretches, he slept only 4 or 5 hours a night. His flesh could not keep up with his spirit, and he died in November, 1916, at the age of 40. The certificate lists the cause of death as uremic poisoning, complicated by hepatitis and kidney problems. The morphine he took for the pain of his other conditions apparently played a part, and though there was talk of suicide at the time, most historians now agree that if there was an overdose, it was accidental. His correspondence and papers were always full of plans and projects for the future – his dreams were far bigger than his human capacity. The mythic wolf that London “found” in his single winter spent…in the Klondike Gold Rush…bears in fact little resemblance to any true wolf ever observed. 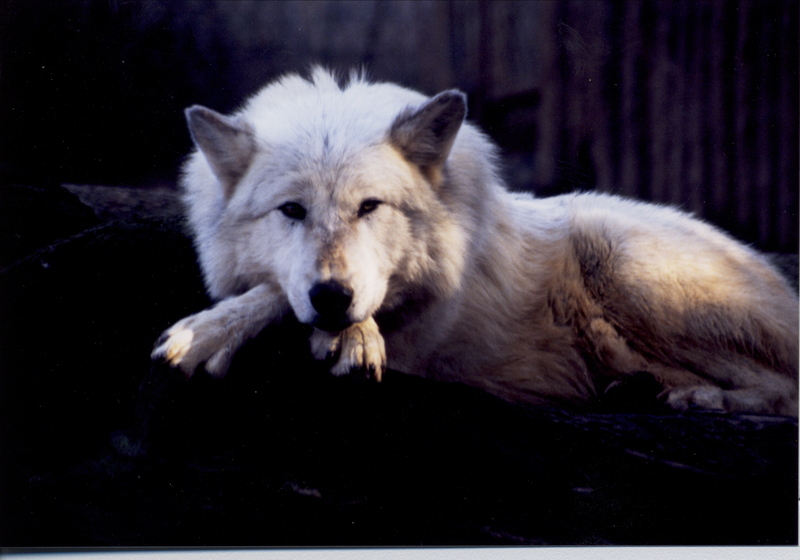 In studies…the wolf emerges as a shy and likable animal with a strong aversion to fighting. There is no evidence that any wild wolf has ever killed a human being in North America. Reality and Truth can appear in different places depending on where and how we look for them. I don’t think I would have stayed up late as a kid – the old flashlight under the blanket trick – to read stories of lost trappers whose fires burn low while packs of shy, likable, creatures pace the perimeter. 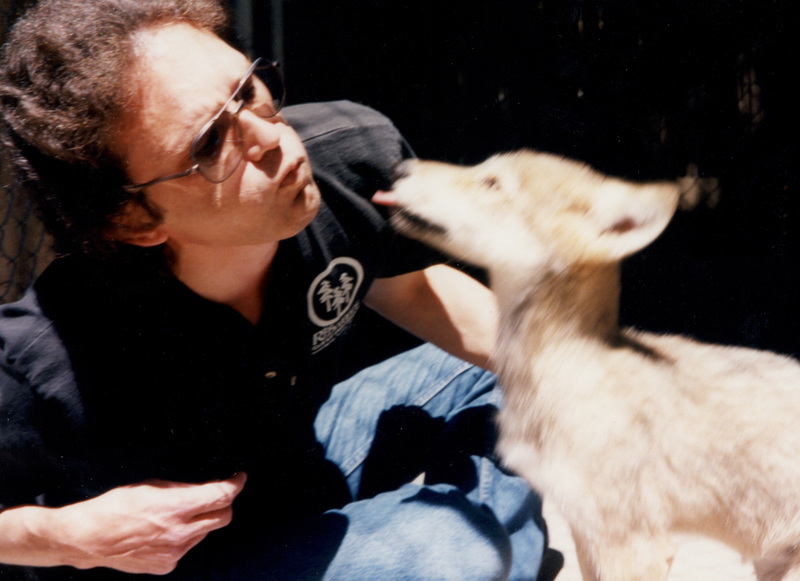 Besides, it is the fact that wolves, like dogs, can accept humans as members of their pack, that allowed me to bond with several wolves when I was a volunteer at the Folsom City Zoo Sanctuary. This was a marvelous opportunity I stumbled into – right place at the right time – and I often thought of Jack London, and imagined it as an inoculation of wildness – I got my fix without having to risk scurvy on the tundra. “The key to London’s effectiveness is to be found in his complete absorption in the world he evokes. The author is in and committed to his creations to a degree very nearly unparalleled in the composition of fiction. The resulting go-for-broke, event-intoxicated, headlong wild-Irish prose-fury completely overrides a great many stylistic lapses and crudities that would ordinarily cause readers to smile….Once caught in London’s swirling, desperate, life-and-death violence, the reader has no escape.” – James Dickey. Fifty of Jack London’s stories and books have been made into movies. I’m not sure that can be said of any other author, let alone one whose youth was spent in abject poverty, and whose life was over at 40. And even those facts pale when the sight of a cold winter moon, or the scent of a pine, or the yip of a coyote in the distance sends shivers down the spine and spins you off, just for a moment, into arctic dreams. This entry was posted in Authors, Travel, Writing and tagged authors, fiction, travel. Bookmark the permalink. Thanks for this. I have had a Jack London project in mind for quite a while. This may be just the kick in the pants I need to get going on it. I have just one question, I have read many theories about his death. Do you thing he committed suicide? I was wondering why … is it beacuse “world is getting old”? What do you think? 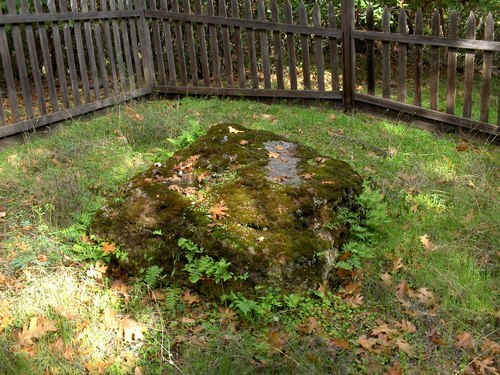 I had always heard he committed suicide until I toured the state park. There and in the brochure was a discussion of his death and the statement that many at the time thought it was suicide but “most historians now” believe it was uremic poisoning that killed him, not a deliberate overdose of the morphine he was taking for the pain. I certainly hope that is the case, but I don’t know if we will ever know for sure.